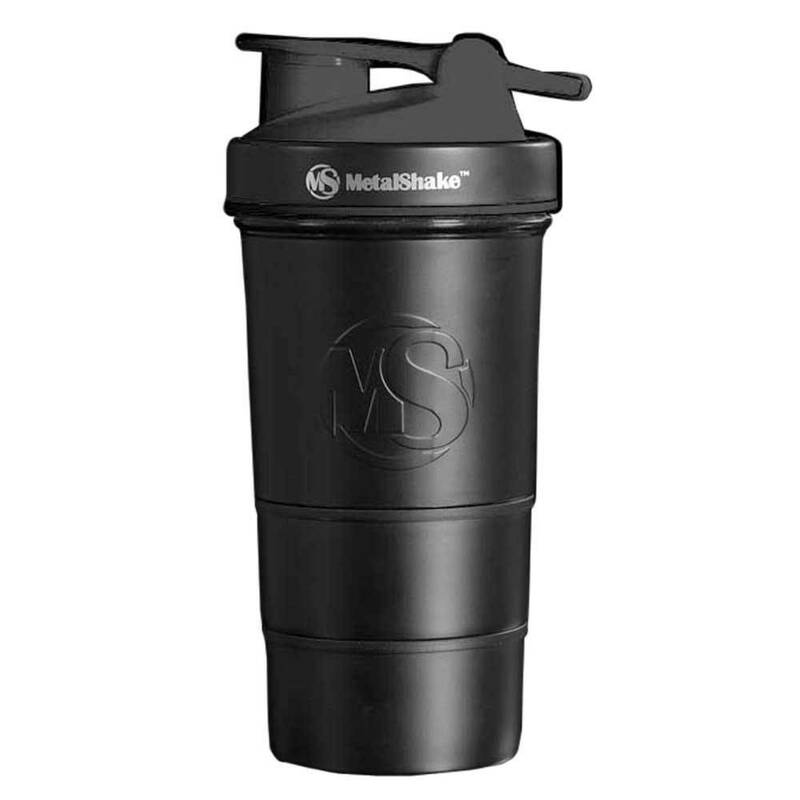 Metal Shake Shaker: Metal Black Steel - Athletes Nutrition Inc. 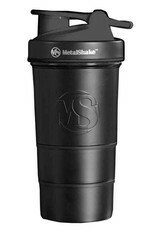 The 1st 100% Plastic/BPA FREE, Surgical Grade Stainless Steel Sport Shaker with Ice Puck & Supplement compartment built in! The lid is specially designed to keep the shaker securely closed at all times with a deep twist lock design. The snap on lid will remain closed even during heavy shaking motion. The dissector net who´s new hole size development makes wireballs, or loose mixing elements inside the shaker, unnecessary. It delivers smooth and lump-free shakes in seconds. The main container holds up to 18.5 ounces (550ml) of fluids. Made in PP fiber and it fits in the middle compartment & keeps the bottle cool for 4-6 hours & the bottom storage compartment. The MS IcePuck is made of a freezing gel that is 100% toxic free but not for consumption.